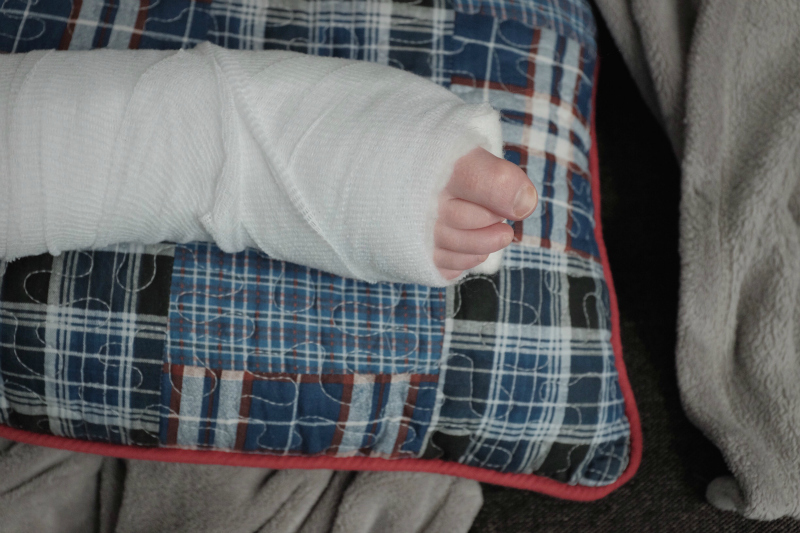 Tiptoeing Through: For your Birthday.. A New Cast!! 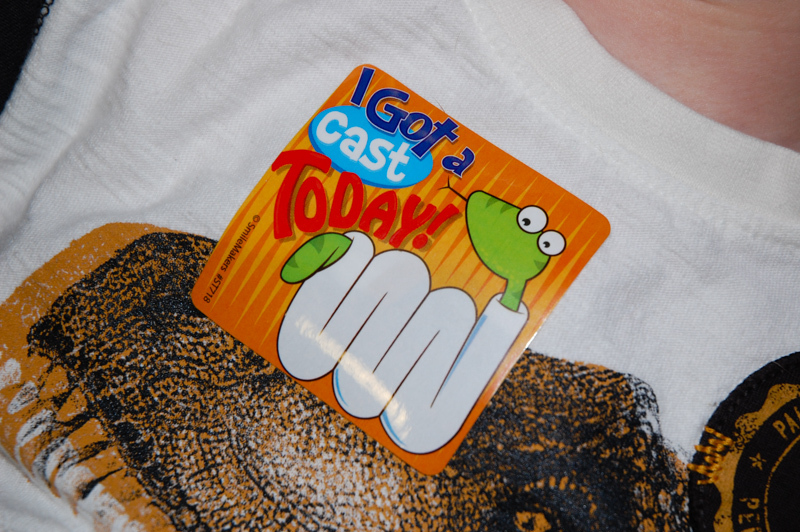 We had an unexpected visit to the Emergency Room last week. They called me from school one day, saying that Brennen was very upset and they weren't sure what was going on. Andrew went to pick him up and brought him home, and I knew as soon as I saw him that something was seriously wrong. He was screaming in pain, and was holding his legs in a very unnatural way. He wouldn't let me touch him. My first thought was his hip - either the one he had surgery on already (see HERE), or perhaps his other hip had become dislocated. Neither option was going to be good. I rushed him to Emergency, where they brought us in immediately. He was given morphine for pain, and we were sent straight up for x-rays. It turns out, his hips are fine (that's great news!) but there is a fracture in his right foot (the talus). How did it happen??! We have no idea. 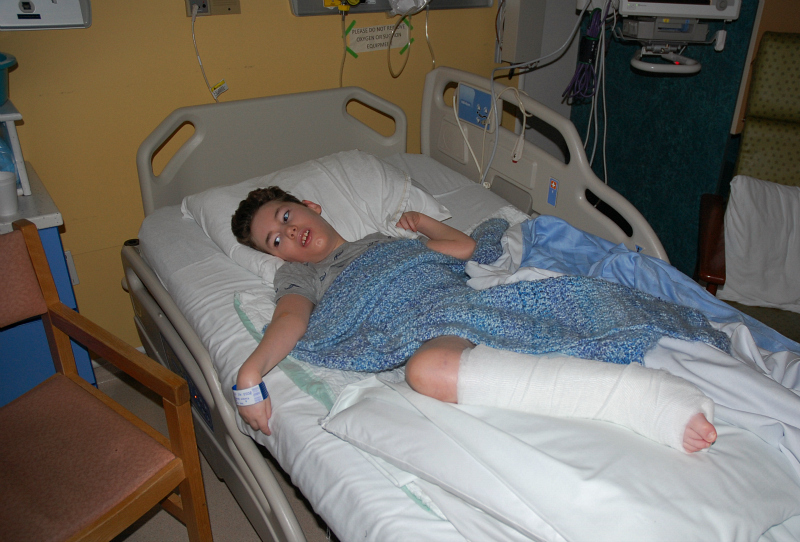 He was much more comfortable as soon as they immobilized and braced his foot. 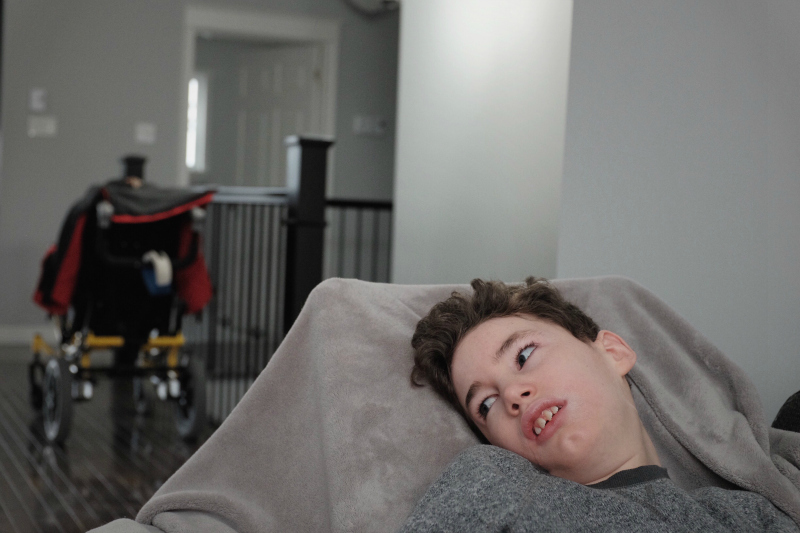 Brennen was admitted to the hospital for a couple of days so they could monitor and control his pain, and watch for any signs of swelling or infection. Andrew and I sat by his bedside, watching him sleep. Watching the monitors. 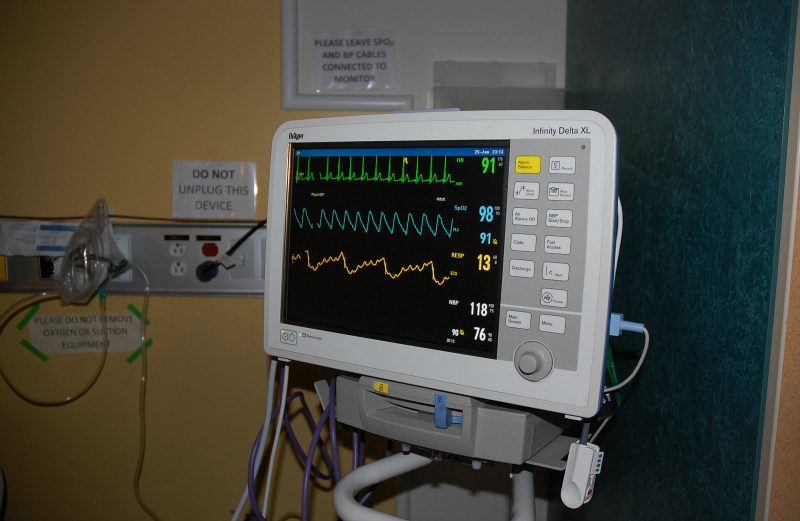 Listening to the beeps and the buzzers and the alarms going off when his oxygen levels would drop or his heart rate would increase. It is so hard to see your baby in pain and not be able to take it away from him. To feel so completely powerless is the absolute worst. My heart has been broken, crumbled from worry and exhaustion, but we will carry on. Always. And with love. I have so much respect for all of you warrior mamas who spend countless days and nights in hospital rooms with your precious babies. I can't even imagine it. 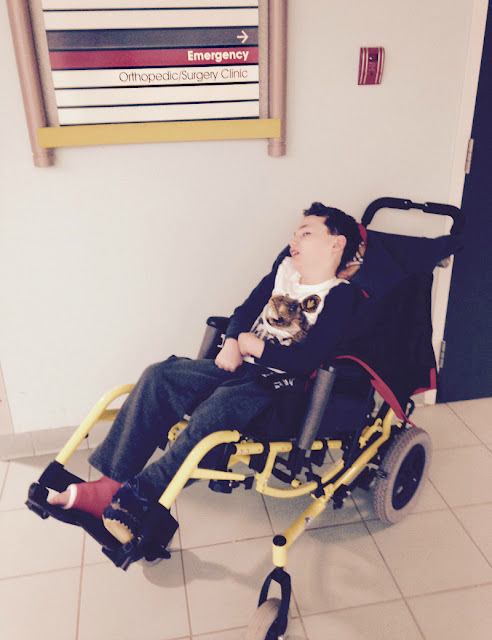 Though we have had some trying times with Brennen, and plenty of hospital visits, we have been very fortunate not to have too many lengthy admissions. 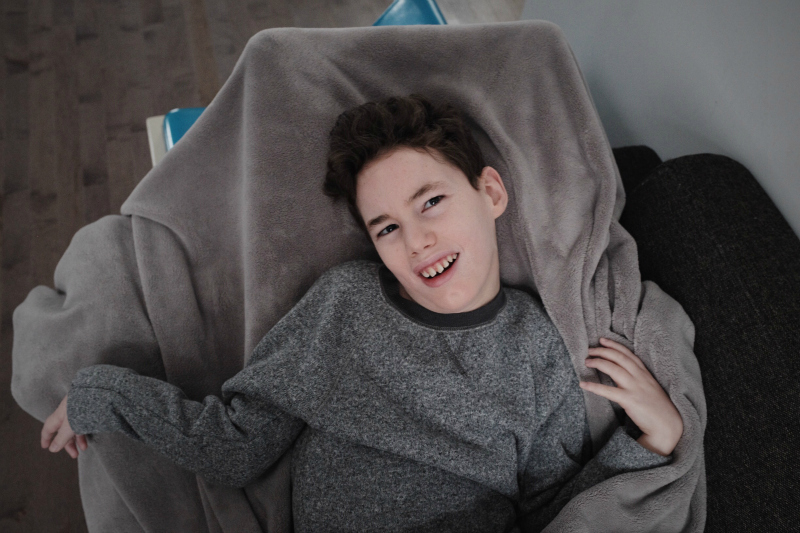 Brennen (and our whole family, really) received the best possible care from doctors and nurses who understood that their job was not only to make people healthy, but to strive to make them happy, comfortable, safe and relaxed. We couldn't have asked for better treatment. The thing is, hospitals are always unsettling when you're there for your child - even if you know everything is going to be ok. I am feeling deeply grateful here today. 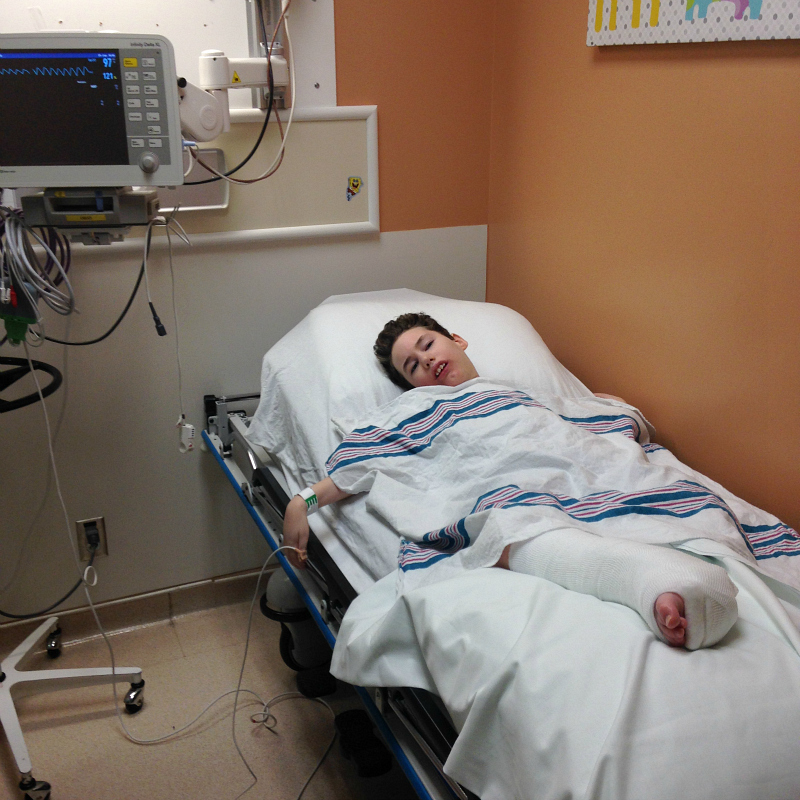 After a scary time of not knowing what was making Brennen so upset, and blood tests and x-rays and heavy pain medication, we can breathe a sigh of relief that it wasn't anything more serious than a broken bone. 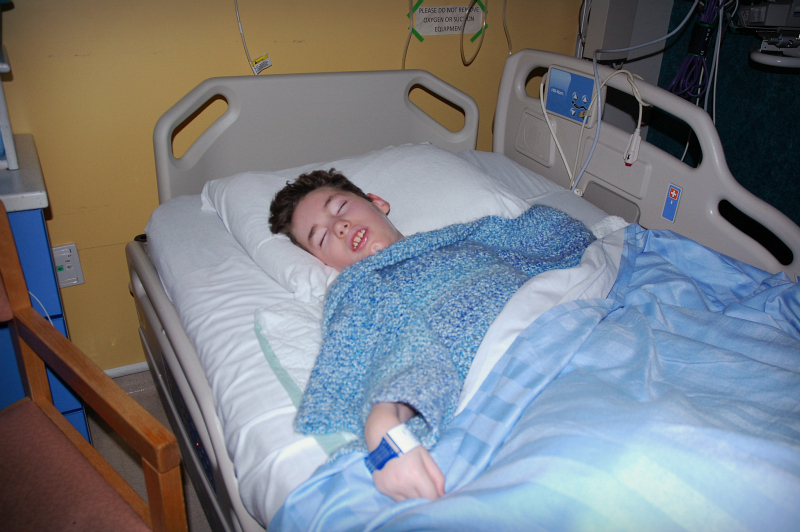 I am grateful that my boy is as strong as he is. I am grateful for the comforts of home and the life we have right now. I am grateful for the support of my family. I am grateful, too, for the challenges we have faced and all that we have overcome together. 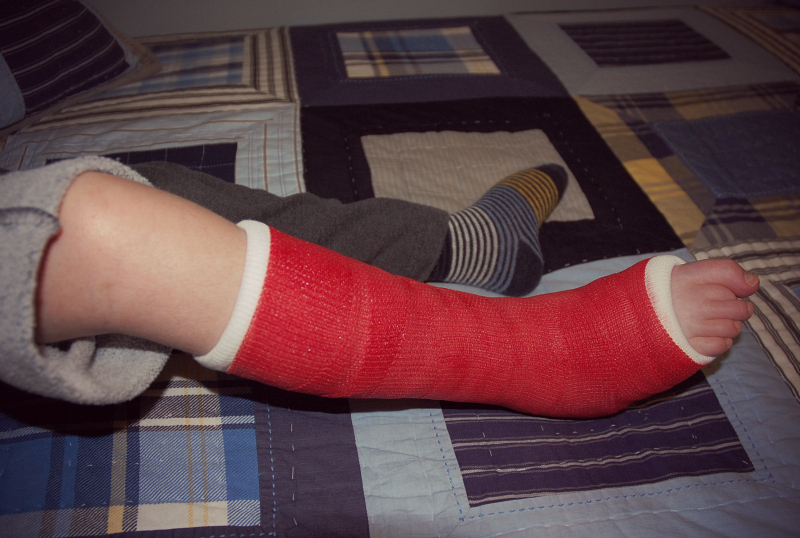 Brennen had a temporary cast for almost 2 weeks, and we had to go back to the Janeway today - on his birthday - for more x-rays and to get a shiny new red fiberglass cast. I can think of a million other ways I would rather spend his birthday, but life had other plans for us, once again, so we are rolling with it. 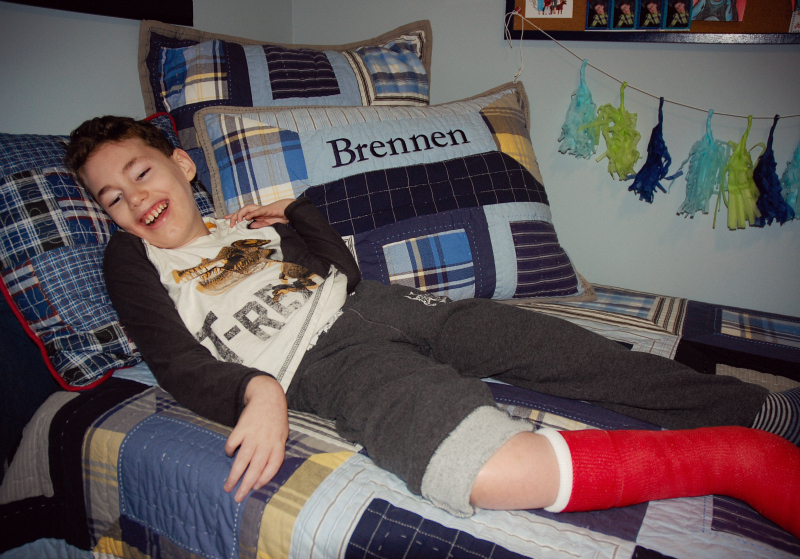 Today is Brennen's 11th birthday, and we will celebrate our boy like we do every day - surrounding him with love and laughter and people who make him happy. Eleven!! Holy Crap. It has been a wild ride, but we are loving every minute! I feel like today is my birthday. I know it's not, but it sort of is. Thank you, Brennen, for bringing me into this world! Today, and for the next three weeks, Brennen will be keeping me on my toes.. while I am trying to keep the pressure off of his!